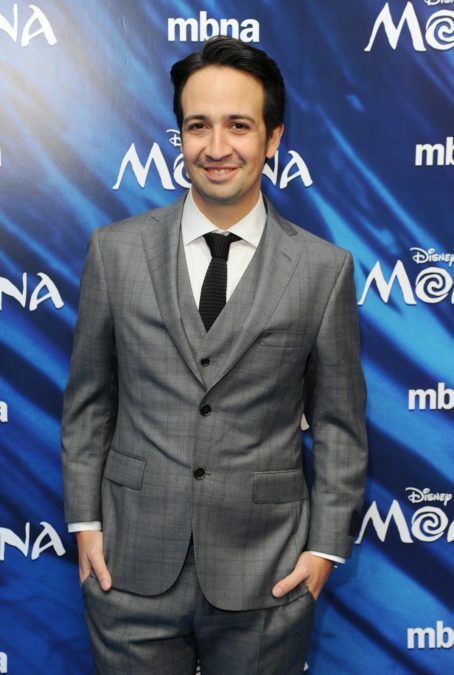 Lin-Manuel Miranda is slated to take the stage at the Academy Awards at least once on February 26. The Oscar nominee will perform his track "How Far I'll Go" from Disney's Moana, reports Variety. Auli’i Cravalho, who lent her voice to the titular character, will join him on stage. Moana is also up for Best Animated Feature Film. The other nominated songs in Miranda's category will also get live performances. John Legend will sing Benj Pasek and Justin Paul's “Audition (The Fools Who Dream)” and “City of Stars” from La La Land (Emma Stone and Ryan Gosling performed them in the record-tying film). Sting is set to lend his voice to “The Empty Chair” from Jim: The James Foley Story, which he co-wrote with three-time Oscar nominee J. Ralph. Justin Timberlake will perform “Can’t Stop the Feeling!” from Trolls; he shares music and lyric credits with Mac Martin and Karl Johan Schuster. If Miranda earns this Oscar, he will join the ranks of EGOT-ers like Richard Rodgers, Audrey Hepburn, Mel Brooks, Whoopi Goldberg and, most recently, Frozen songwriter Robert Lopez. If the award goes to one of the other nominees in the category, it's safe to say the certified genius will have plenty of other chances to be recognized by the Academy in the future. After all, he's got his own Disney film in the works, as well as a movie musical about monkeys, a starring role in Mary Poppins Returns, a songwriting stint in the live-action Little Mermaid, and of course, there are the inevitable In the Heights and Hamilton screen adaptations.